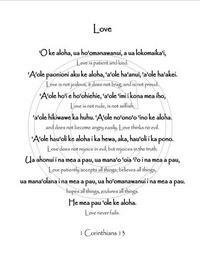 The Vellum Love Prayer is written in both Hawaiian & English and is printed on Vellum. Dimensions:4.25x5.5. A perfect Embellishment for both scrapbooking and cardmaking!